Opening in New York City on September 10, 2001, this decades-spanning serial killer trilogy unfurls dark secrets from Manhattan to well-heeled suburbia; from the rural Midwest to a lush tropical island. As the city sleeps in the early hours of September 10, 2001, the killer waits and watches, unaware of the cataclysm to come. Even the nightmare of 9/11 will not postpone his private reign of terror. Allison Taylor adores her adopted city, New York, loving every minute of the invigorating urban hustle. But on a bright and clear September morning, the familiar landscape around her is savagely altered—and in the midst of widespread chaos and fear, a woman living upstairs from her is found, brutally slaughtered and mutilated. For Allison…for her neighbor, James “Mack” MacKenna, desperately searching for news of his missing wife…for homicide detective Rocky Manzillo, hunting for a monster amid the smoking ruins of a devastated city, this tragic day will hold a special horror. Because a different kind of terror has entered their lives…and it’s coming to claim Allison Taylor as its next victim. “Staub is boss when it comes to relaying fictionalized accounts of revulsion. “Nightwatcher” is one such book. A disturbing yet suspenseful tale that will take you into the mind of a serial killer amidst the calamity and horror of real terror on American soil. “Wendy Corsi Staub has always excelled at exploring the potential for terror in everyday situations and among everyday people, and Nightwatcheraffords her a real-life backdrop to work within—one in which an entire city’s vulnerabilities were exposed to a global audience. Readers, then, will be transported back to their own recollections of that fateful September morning, which both enhances the story’s potency and fosters a sense of intimacy. This might have posed a calculated risk for a lesser author, but Staub expertly offsets the horrors with humanity, showing reverence while skillfully eliciting a creepy and disturbing atmosphere. 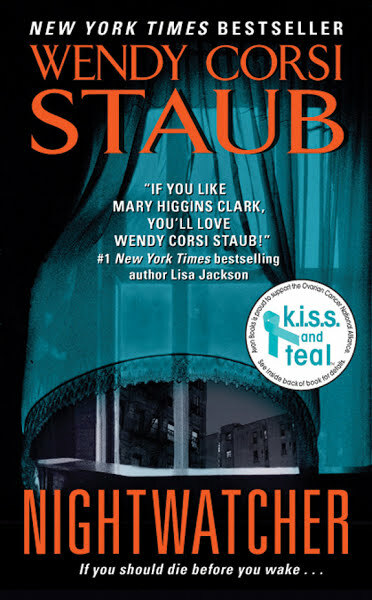 “A gifted storyteller, Staub also possesses the ability to convincingly portray multiple viewpoints. This shifting of perspectives not only lends itself to a heightened sense of suspense throughout the narrative but also to rich character development, resulting in multi-faceted personalities, whether hero, victim, or villain. As one might expect, her female protagonist is realistically flawed but entirely likable. (Secondary characters are also well-drawn and allow for an examination of the true human drama of 9/11.) The antihero is equally compelling, however, as Staub not only delves into madness itself but into the makings of madness—and how catastrophe can often trigger one’s breaking point. The nightmare of 9/11 is a distant but still painful memory for Allison Taylor MacKenna—now married to Mack and living in a quiet Westchester suburb. She has moved on with her life ten years after barely escaping death at the hands of New York’s Nightwatcher serial killer. The monster is dead, having recently committed suicide in his prison cell, but something is terribly wrong. Mack has started sleepwalking, with no recollection of where his nighttime excursions are taking him. And here, north of the city, more women are being savagely murdered, their bodies bearing the Nightwatcher’s unmistakable signature. Suddenly Allison must confront a devastating truth: her life is in jeopardy once again…and quite possibly from the man she trusts and loves. 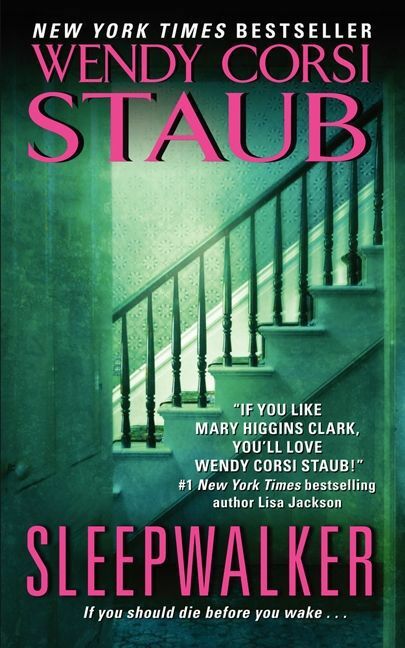 “SLEEPWALKER is Wendy Corsi Staub’s best novel to date. 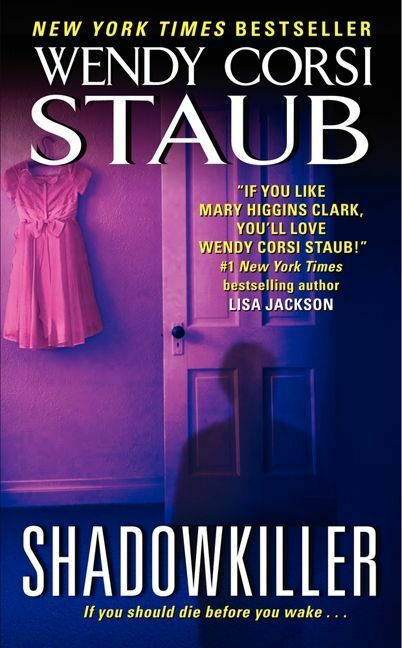 I’m going out on a limb here; Staub has written over 70 novels, and I am sure folks will be coming out of the woodwork to point out the error of my ways on this issue. Fair enough; all I ask is that you read SLEEPWALKER first and then get back to me. If it’s not her best, it’s certainly in the running for that title. “I have to tell you that the plotting of SLEEPWALKER is brilliant. You will want to read it twice — once to enjoy and a second time just to pick up on the clues you might have missed or ignored the first time through. Also, there is a revelation at the end that you will never see coming and that goes off like a hand grenade lobbed into a small room on a quiet summer afternoon. It will have you marking your calendar for January 29, 2013 when SHADOWKILLER, the last volume in the trilogy, is scheduled to be published. Nestled in the warm, domestic cocoon of loving husband and family, Allison finally feels safe—unaware that a stranger’s brutal murder on a Caribbean island is the first step in an intricate plan to destroy everything in her life. For seasoned NYPD detective Rocky Manzillo, the signs are clear that something terrible has emerged from the shadows: a murder victim left without a face…a wilted carnation…and a faded photograph that yields a startling connection. Now, as Allison’s murky memories of a troubled childhood creep back to light, a cunning predator who shares her history prepares to enact a horrifying retribution–and won’t stop killing until Allison faces a shocking truth…and pays the ultimate price.